So this weekend in the Press & Journal we read the headline that “Sir Ian Wood said last night that projects in Africa would benefit from the £50million he has offered to Aberdeen – should the City Garden Project be rejected” and whenever Aberdeen and Africa are mentioned, thoughts inevitably turn to arguably the greatest Aberdonian of them all, Mary Slessor. The history books tell us that Mary was a Gilcomston quine and though her family flitted to Dundee when she was aged 11, we can easily imagine that the young Mary would be familiar with the Denburn and the wooded slopes of the Corby Haugh – perhaps Mary had occassion to take a drink of water from the Corby Well or even witness some of the legendary encounters between the Corbies and the Green Linties? One thing that is certain is that while Union Terrace Gardens were not formally laid out when Mary left her native city in 1859, some of the mighty elms that grace the slopes of the Denburn to this day would have already been there when she was a girl. When she left the town of her birth for the last time, could the young Mary ever have imagined where her journey would lead or that one day she would be cited among the most famous Scots and featured on a £10 note or that almost one hundred years after her death, close to the now culverted Denburn, a memorial would be erected to commemorate her achievements? Mary’s story is one of amazing courage, devotion, self sacrifice and absolute dedication to improving the conditions in which her fellow humans lived their lives. We are Moved to Comment that in this age of faux celebrity and routine lionising of the wealthy or violent, isn’t it perhaps time that we started to remember the achievements of the real giants – those who toil selflessly not for celebrity or wealth but merely to improve the conditions under which their fellow humans live? Hopefully this little verbal rambling has helped bring to your attention some of the achievements of one of Scotland’s greatest daughters and, perhaps should you be fortunate enough to have a £10 note with Mary’s image in your purse or wallet, when you spend it you can say with pride “This is Mary Slessor, she was born in Gilcomston, she helped others“. Yes as with almost every discussion about Aberdeen in early 2012, the Union Terrace Gardens question comes up – and little would be gained by speculating how Mary would vote in the referendum were she allowed to – she would no doubt find voting a novel concept as in Mary’s lifetime women were not allowed to vote in the UK! On the other hand, if we were to ask would this remarkable daughter of the Granite City rather see a £50M donation spent on what many regard as a vanity project in Aberdeen or on projects that could help improve lives in Africa? From what history tells us of the life and work of Mary Slessor and her dedication to the people of the continent to which she gave 38 years of her life, I think we all know the answer to that one. 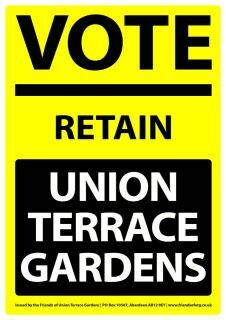 So we are Moved to Comment that for a Win-Win result for Aberdeen and Africa, Vote Retain Union Terrace Gardens! 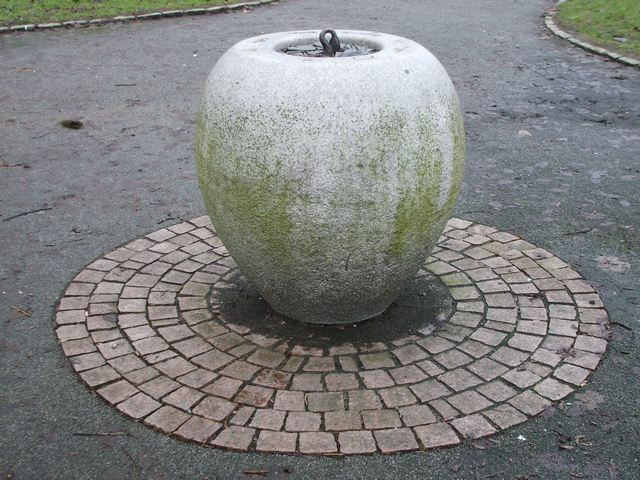 This entry was posted in Aberdeen, Aberdeen, Aberdeen City Council, ACSEF, Architecture, city gardens project, city square project, history, Scotland, Uncategorized, Union Terrace Gardens and tagged "Mary Slessor", Aberdeen, history, Scotland, Union Terrace Gardens. Bookmark the permalink. I wonder what she’d make of the current ‘philanthropy’ being offered as a ‘gift’ to Aberdeen? What would she have been able accomplish with a fraction of what is being proposed (or is that imposed) for the gardens. Someone’s priorities ar out of touch and out of order.